Quark has let loose QuarkXPress 10, a massive overhaul of its cross-media publishing package for both Mac and Windows. QuarkXPress has been revamped from top to bottom, starting with an under-the-hood conversion from the Carbon to the Cocoa programming frameworks and ending with a new cutting-edge graphics engine and a refreshed user interface. More than 50 feature enhancements promise to streamline the design process and improve the user experience. Several years in the making, this new version has updated a half million lines of code, added 350,000 new lines of code, added more than 500 new dialog boxes and palettes, and added 1300 new icons designed for Retina display resolution. QuarkXPress is now ready for action on all levels of media creation for the foreseeable future. It supports Lion and Mountain Lion features like Recent Items, Dictation, and File List in Dock. It is fully compliant with current Mac OS APIs and is Mavericks-ready. Quark 10 sports a state-of-the-art Xenon Graphics Engine designed to leverage the most powerful and advanced multicore, multiprocessor, and multithreaded processing and image-handling technologies. “The Xenon Graphics Engine is a brand-new graphics engine...that was developed by our Core Technology Group, and this is the first implementation...within one of our products,” Drake says. Xenon has what Quark calls a “native and deep understanding” of image and vector files such as PDF, AI, TIFF, JPG, PNG, and PSD, and it uses a new Adaptive Resolution feature to render the best performance at the most appropriate screen resolution. The new engine understands fonts, vectors, colors, layers, and gradients, meaning that patterns, complex gradients, and radial blends will look much better than on previous versions, according to Quark. The program can now directly manipulate TIFF color channels and clipping paths. 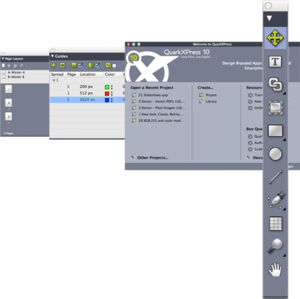 QuarkXPress 10 offers improved rendering of a variety of image formats. “The Xenon Graphics Engine drastically improves the clarity with which pixel and vector files...are rendered within QuarkXPress. It always delivers the best on-screen resolution in real time, regardless of zoom, crop, and even while positioning graphics,” said Drake. Thus, with the Xenon Graphics Engine, saving does not have to go to disk; text remains text; vectors remain vectors; and images stay as they are without being baked into RGB. In the past, for example, image previews would be cached somewhere on the hard disk, and the time to create image previews would vary depending on the type and size of the image, and the computer used. Quark 10 no longer uses image previews. The graphics engine just draws the image directly on screen using the latest processor technologies. 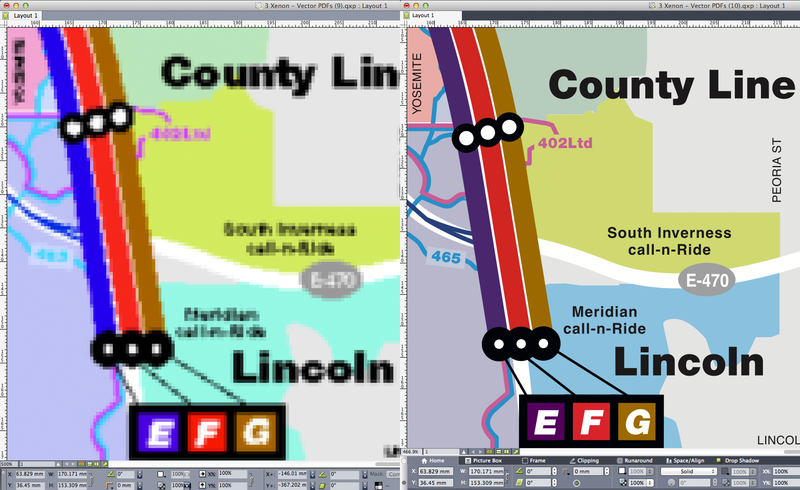 A vector-performance comparison between QuarkXPress 9 and QuarkXPress 10 shows a huge improvement in clarity. QuarkXPress 10 has been optimized to take full advantage of high-resolution Retina and HiDPI displays. Adaptive Resolution means you always get the best resolution on screen, with precise positioning of imported graphics. From the new full-screen view to auto-hiding dockable palettes, QuarkXPress 10 has been redesigned inside and out to improve the user experience. All told, there are fewer dialog boxes, less palette clutter, palette shortcut keys, palette drag-and-drop, and an enhanced page navigator. You can apply style sheets after creation, set default tool preferences from existing objects, reorder layout tabs, view Unicode values in the Glyphs Palette, and more. An enhanced Palette Sets feature lets you easily remember favorite configurations. The measurements palette completely replaces the functionality of the Modify dialog box, while still including the previous shortcut keys, and enabling continued access to a layout with the option to modify more than 100 layout settings as you interact with the page. QuarkXPress 10’s streamlined measurements palette is the the go-to place for tweaking a layout. Layers are now supported on master pages, and the Paste command remembers layers. If those layers don’t exist in the target layout, QuarkXPress 10 will create new layers automatically. A new palette preference can turn this feature on or off. 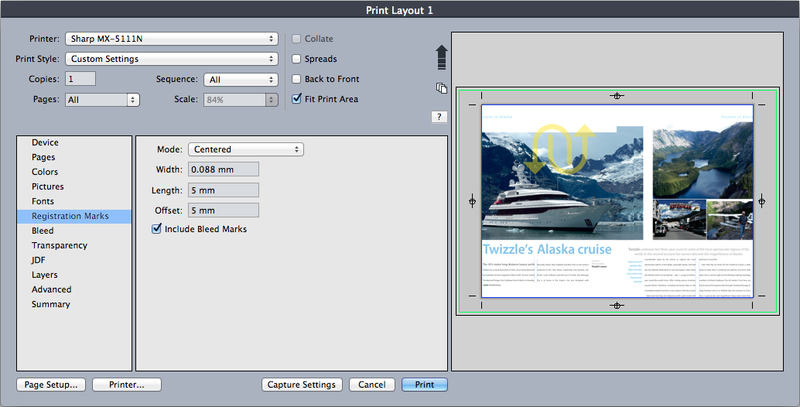 New thumbnail page previews in the print dialog box ensure that your output settings are correct before you print. The new PDF Pass-Through Transparency feature lets you avoid flattening while creating smaller, device-independent PDFs. 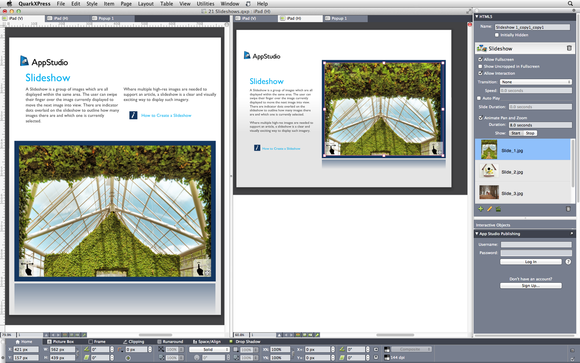 QuarkXPress objects can now interact with placed PDFs and maintain transparency. The Key Item Space/Align feature lets you align and space objects relative to a key item in the layout; just select a key item first, and everything else will be relative to it. The Highlight Missing Fonts feature makes it easy to find text that uses a missing font in a layout. You can even change the highlight color in the preferences. 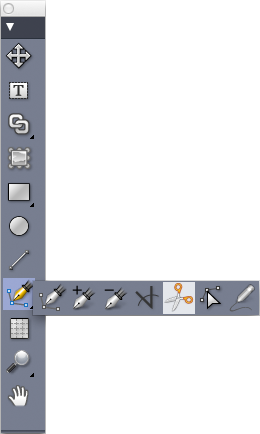 Bezier tool enhancements include the abilities to continue or close an existing path, and support for joining two paths. Like its counterpart from Adobe, QuarkXPress 10 gets with the QR-code revolution. The new version lets you generate vector Quick Response (QR) codes directly within the program and style and color them the way you want. It supports text QR codes such as URLs, SMS, and vCards. Full-screen color browsing features let you use the full size of your screen to add and edit colors. 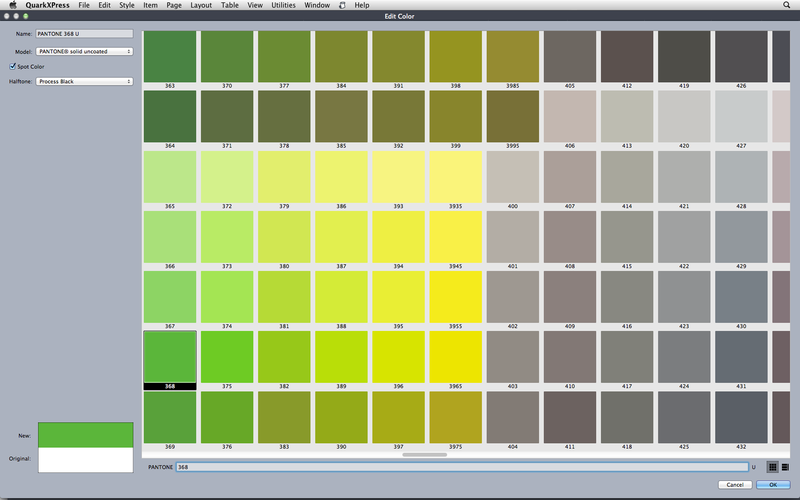 You can browse Pantone colors in multiple views. QuarkXPress 10 lets you choose among Pantone colors in multiple views. QuarkXPress 10 now lets you import images and hyperlinks from Microsoft Word, so you can directly integrate Word documents with embedded or linked pictures into a layout. Hyperlinks are automatically honored and added to the Hyperlinks palette. East Asian typography features are now in every edition of the program, so you can control Japanese, Traditional Chinese, Simplified Chinese, and Korean layouts. HTML5 is where it’s at. Flash and Blio are out. Improved IME (Input Method Editor) support corrects entered text without your having to retype the phonetic text by choosing different characters from the candidate list. You can send text to Japanese, Korean, Chinese, and third-party IMEs. “Typing Japanese and Chinese text is time-consuming, because users have to type the phonetic (“unconfirmed”) text first, and then choose the Han characters from a list of candidates provided by the IME. Once the user chooses from the candidate list, the text becomes “confirmed” (entered). However, correcting the entered text when the user selects a wrong character(s) is very time-consuming because the user would have to retype the phonetic text again,” said Drake. QuarkXPress 10 makes the process more efficient by letting users choose different characters from the candidate list without having to retype the phonetic text each time. QuarkXPress 10 also has updated support for App Studio, QuarkXPress’s built-in mobile app creation companion, providing continued support for the software’s ePub and HTML5 authoring tools. While the company has released few specific details so far, Quark says there is a detailed roadmap dictating a series of updates for App Studio. However, Quark has revealed App Studio’s new abilities to flip shapes horizontally and vertically, and to set a separate trim view pasteboard color. 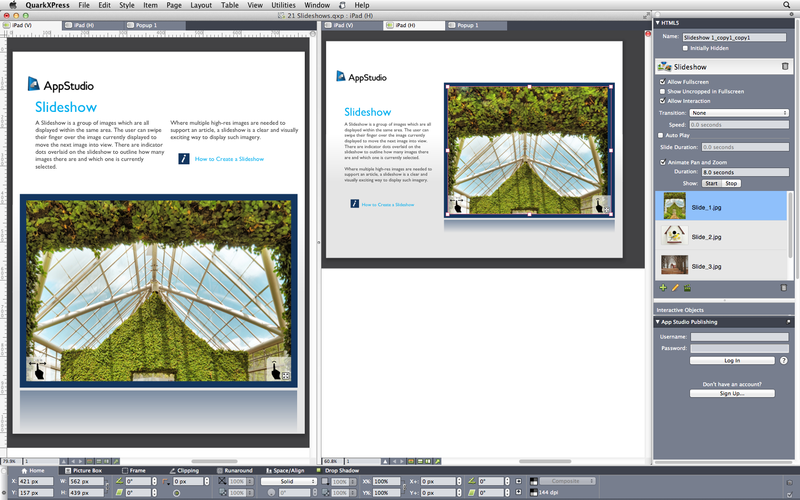 The flip-pages feature in QuarkXPress 10’s App Studio. QuarkXPress 10 will be available for Mac OS X 10.7 and 10.8 and Windows 7 and 8 for $849. Upgrades cost $349. It will also support Mac OS X 10.9 (Mavericks) when Apple releases the OS update. It will open legacy file formats from QuarkXPress version 7 and higher. The software will be released publicly in mid- to late August as a cross-platform, perpetual license with dual activation. QuarkXPress 10 will no longer support OS X Leopard (10.5) or Snow Leopard (10.6), Windows XP or Vista, Flash (SWF), Blio, or HTML 4; it will rely on HTML5. Quark recently instituted new upgrade guidelines for all users, encouraging legacy owners to upgrade to QuarkXPress 9, the current version. Owners of QuarkXPress 3, 4, 5, 6, or 7 have until August 30, 2013, to upgrade to QuarkXPress 9. 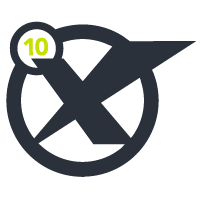 Those with the Buy 9 Get 10 Free promotion, will receive QuarkXPress 10 for free. Owners of QuarkXPress 8 have until August 30 to upgrade to version 9, and until December 31 to upgrade to version 10 for free. Also, starting now, and for a limited time, Quark is offering all QuarkXPress 9 users a 20 percent discount on preorders of QuarkXPress 10. Macworld's podcast features an interview with Quark marketing VP, Gavin Drake. Tune in for more details about the new QuarkXPress 10.